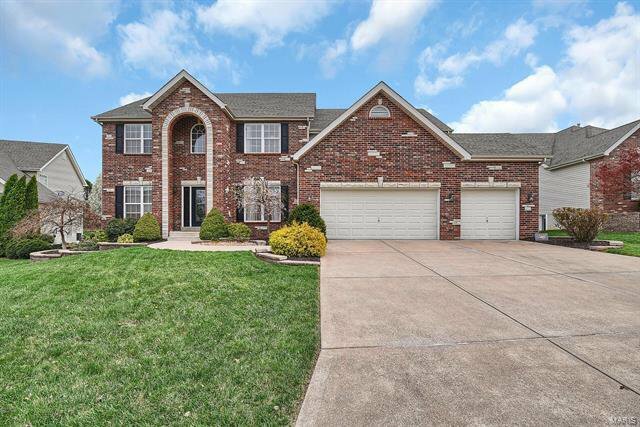 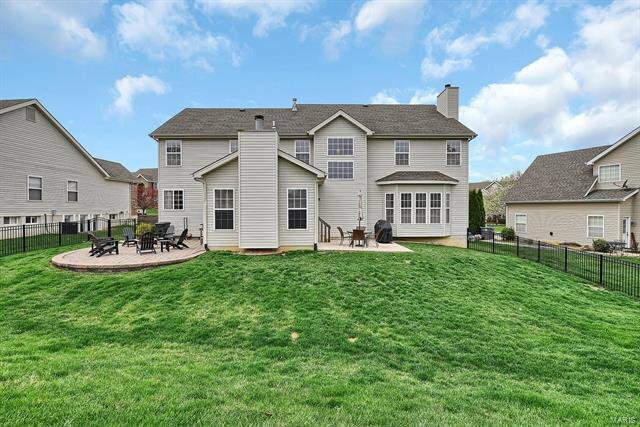 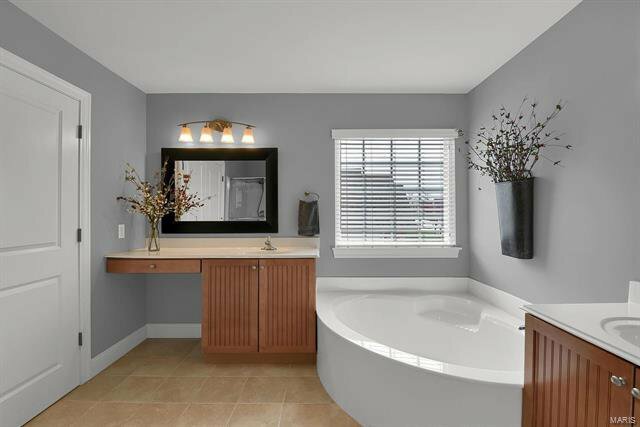 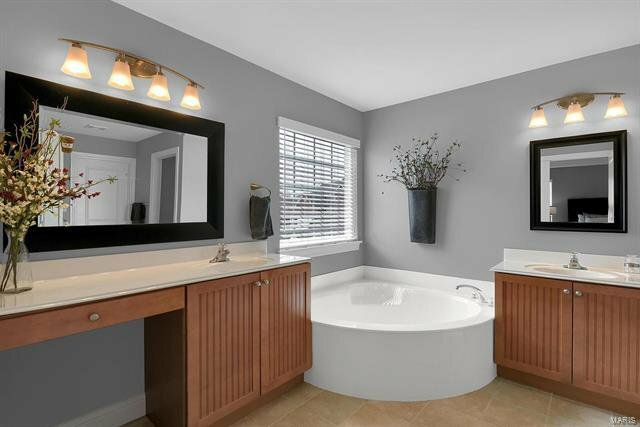 Gorgeous 4 bedroom,3.5 bath located on a cul de sac in sought after Hidden Creek! 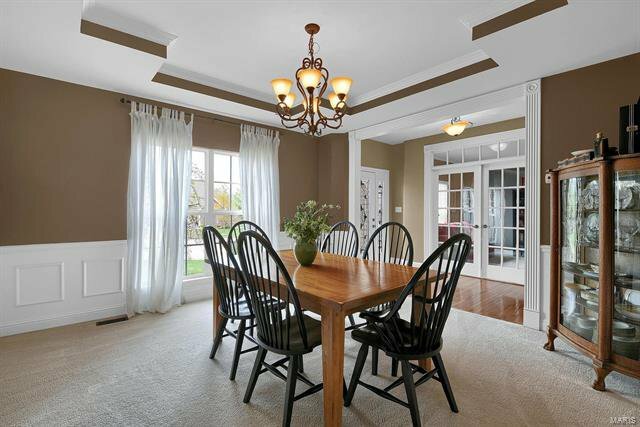 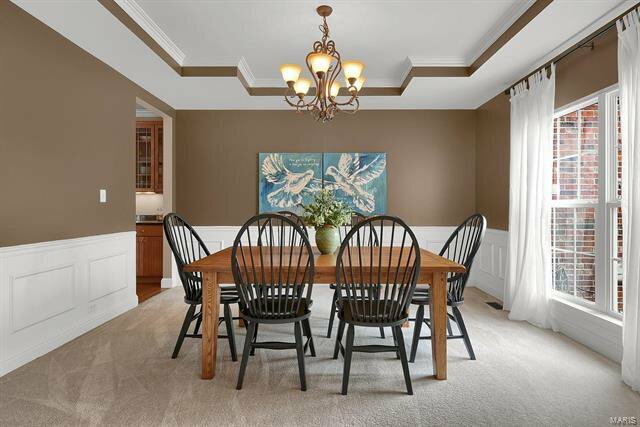 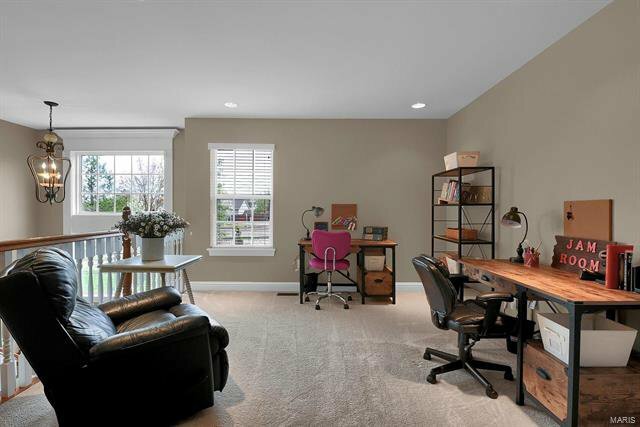 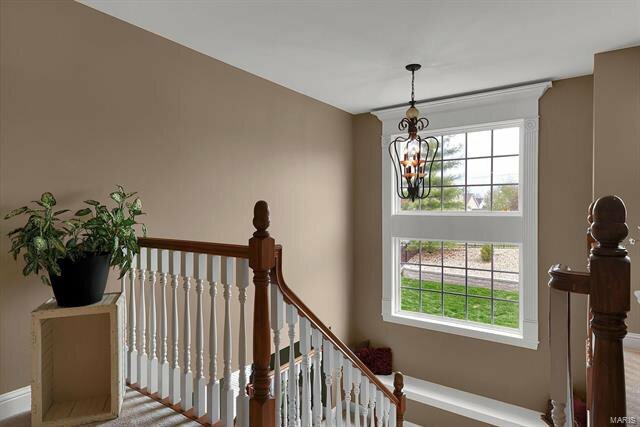 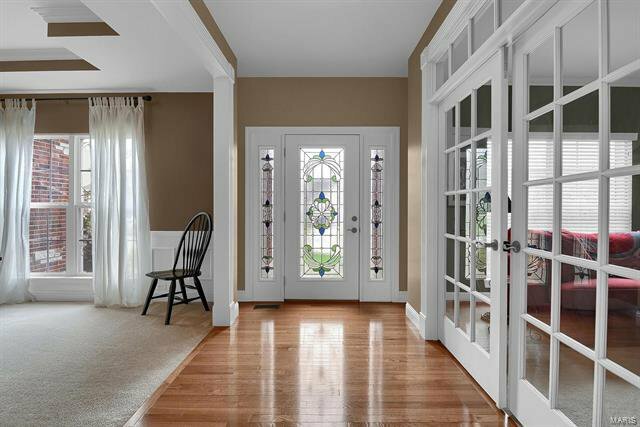 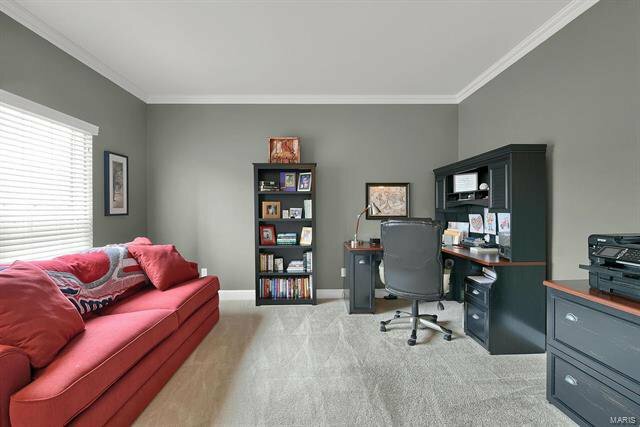 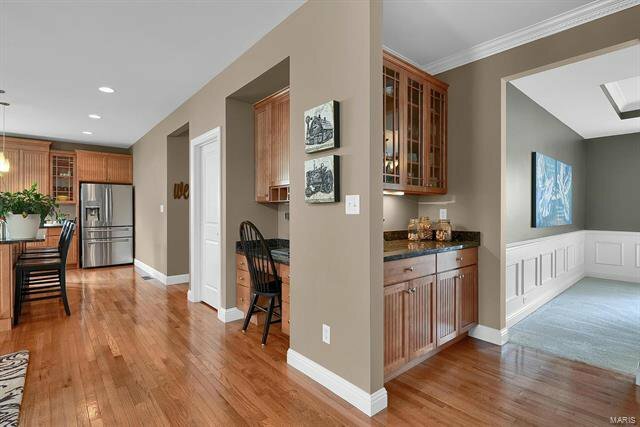 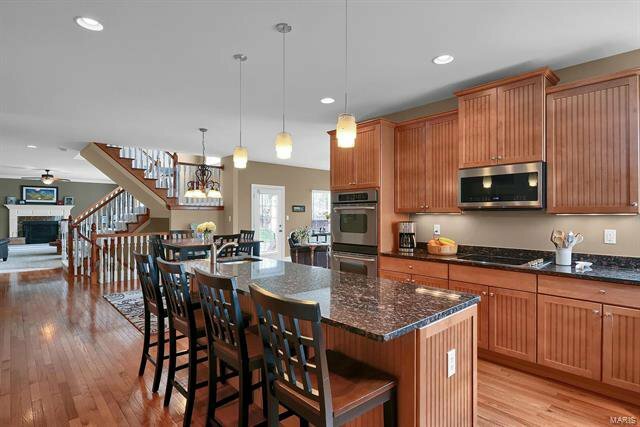 Beautiful foyer w/ hardwood floors opens to the dining room & office w/ French doors. 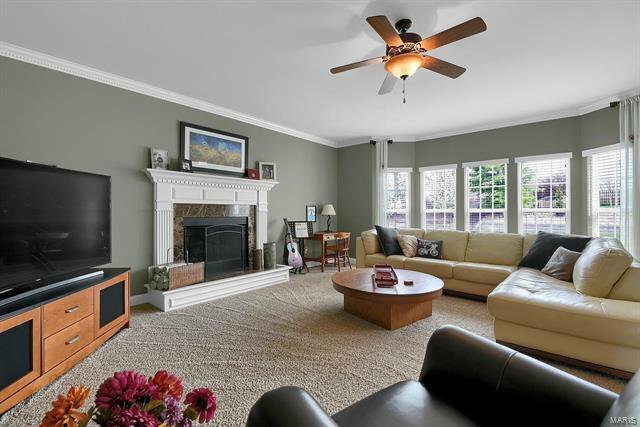 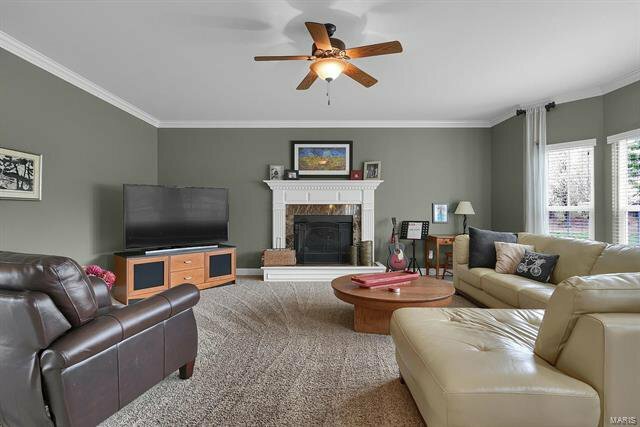 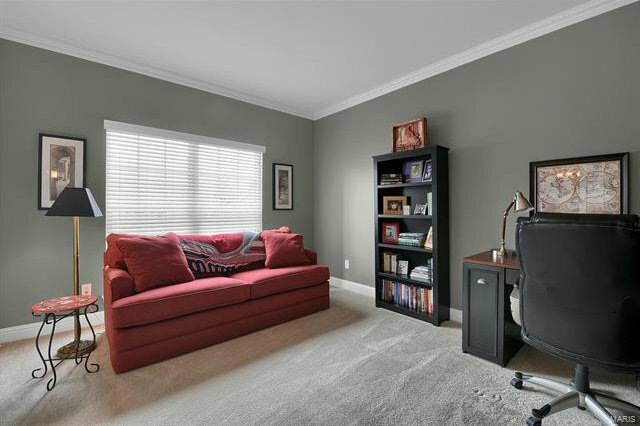 Huge great room is complete w/ newer carpet,gas fireplace & bay window! 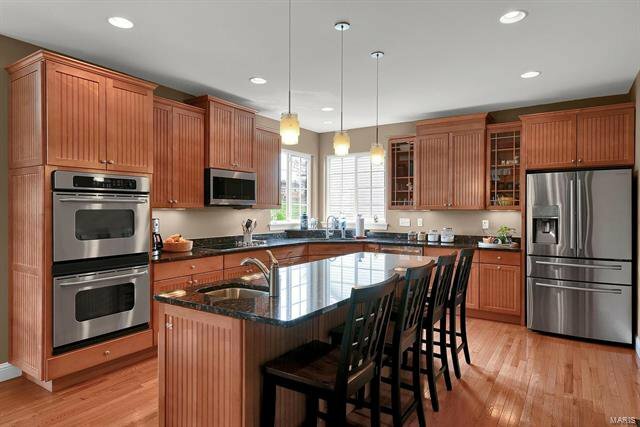 Fantastic kitchen has it all! 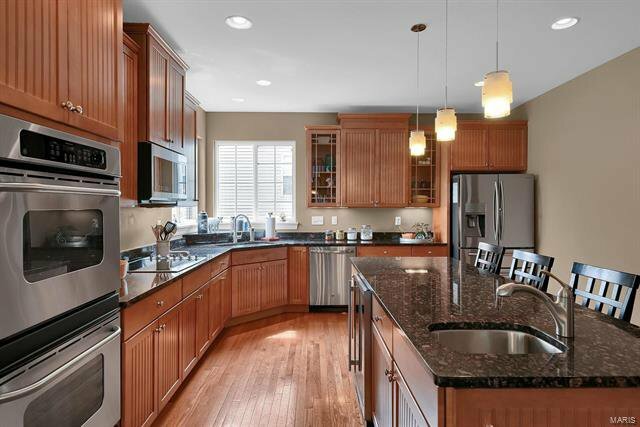 Wood floors, large center island w/2nd sink & wine fridge, granite countertops,double ovens, planning desk, walk in pantry & butler's pantry. 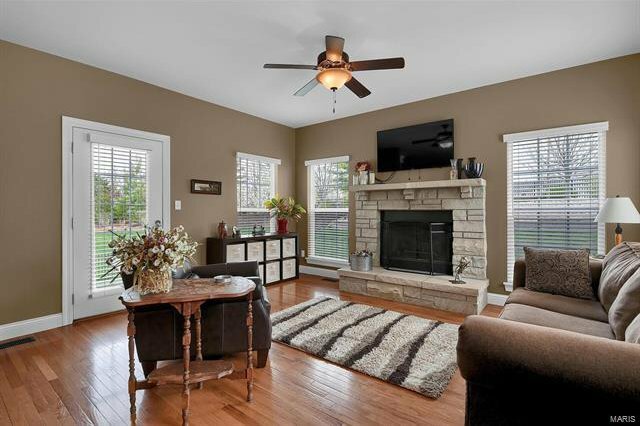 Hearth room,just off the breakfast room,boasts a 2nd gas fireplace & access door to the backyard & 2 patio's. 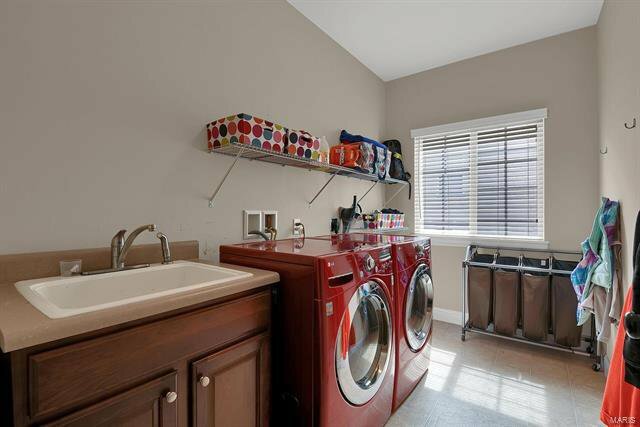 Laundry room & half bath complete the main floor. 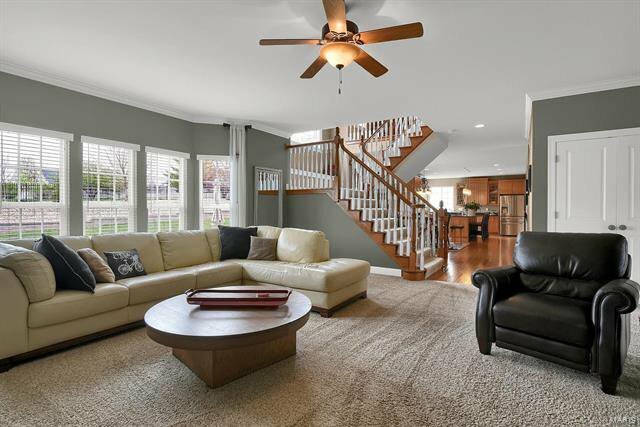 Dramatic open staircase leads to the upper level bonus room. 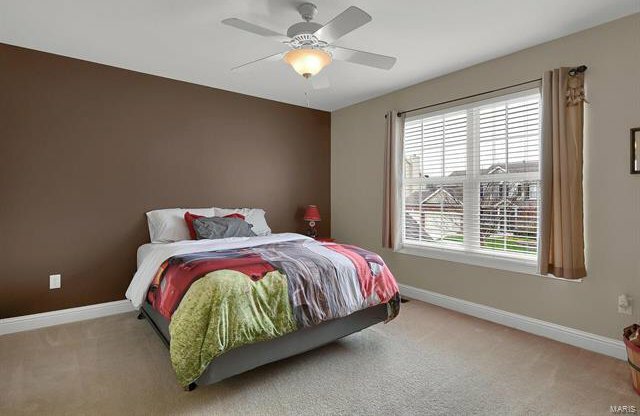 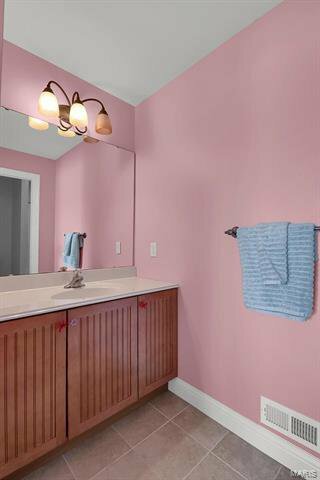 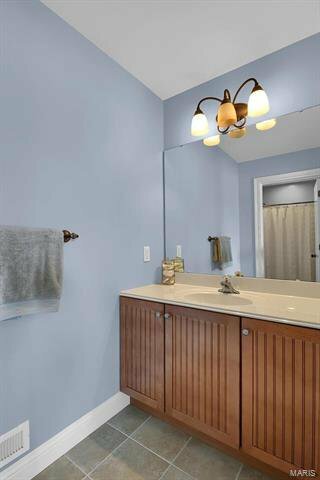 Master bedroom suite features coffered ceiling, full bath w/ double sinks,shower, soaking tub & large walk in closet. 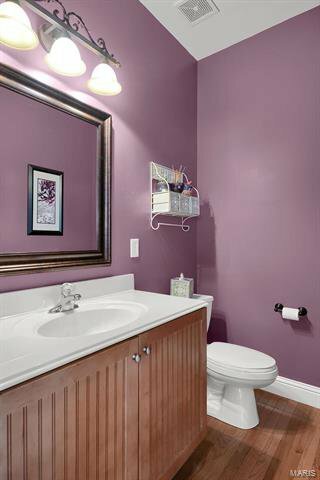 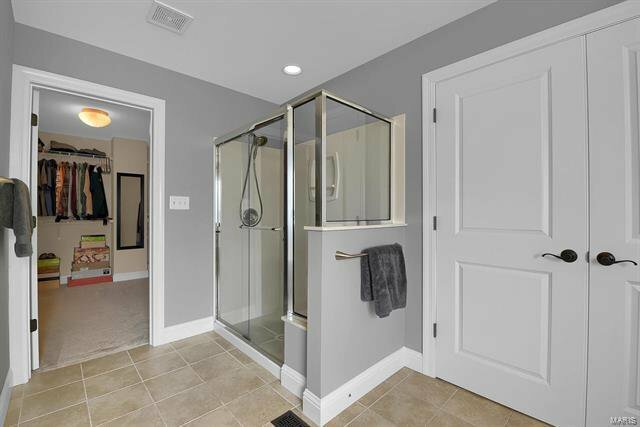 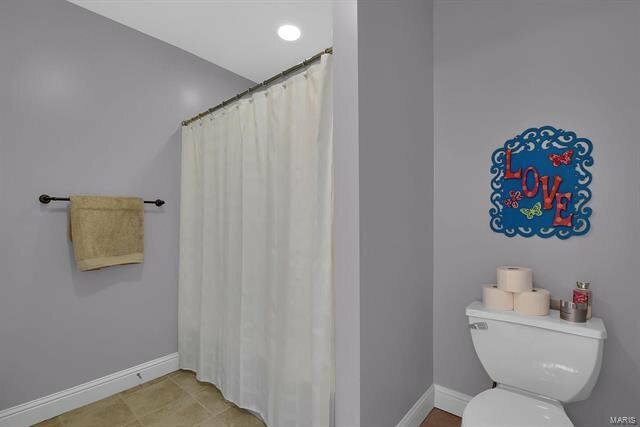 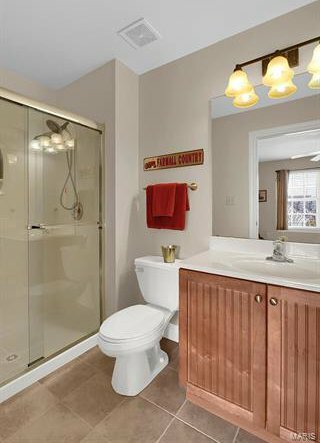 UL complete w/ 3 additional bedrooms, all w/ walk in closets, one w/ private bath while other 2 share a jack n jill. 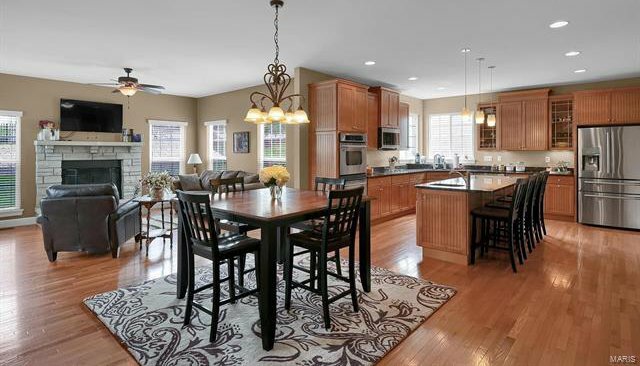 9 ft ceilings in the LL awaiting your finishing touches! 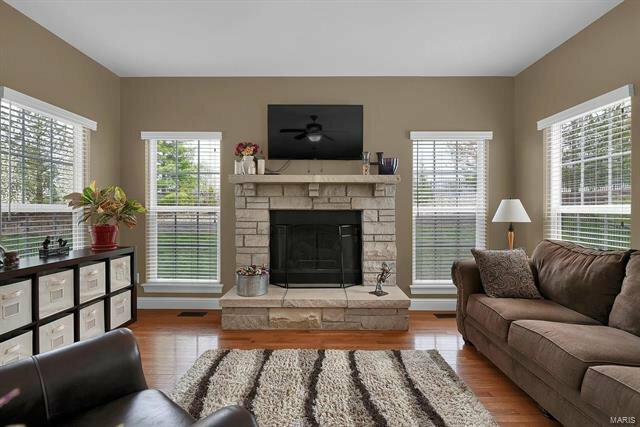 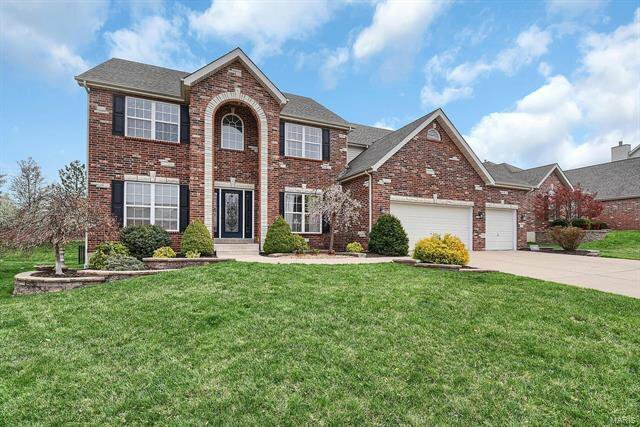 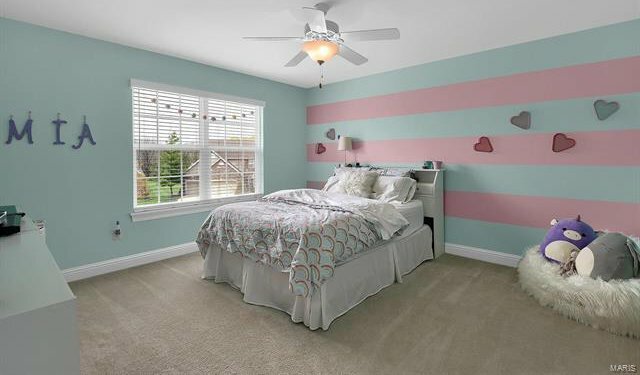 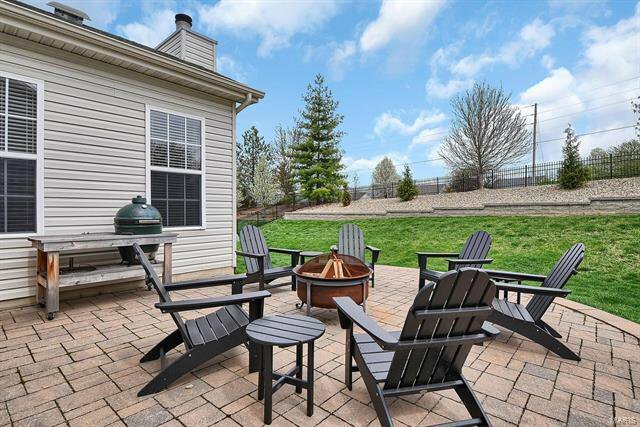 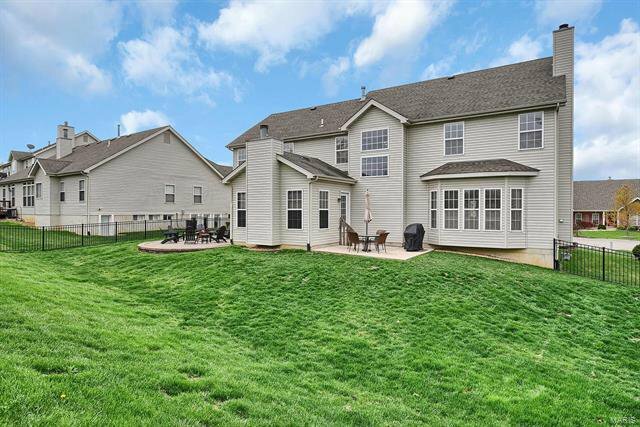 Awesome location,close to shopping,hwy 40 & 364,Francis Howell schools!